Within days, the SA National AIDS Council will have no CEO and there are fears that powerful individuals within the council intend to take advantage of the leadership vacuum for their own gain. By Amy Green for HEALTH-E NEWS. 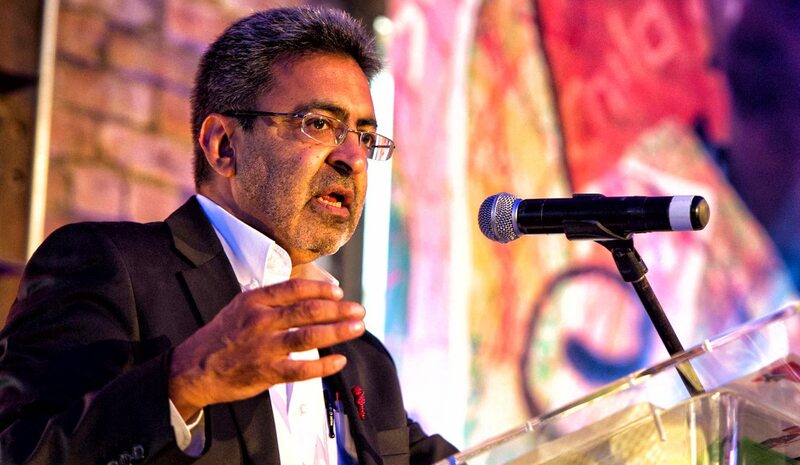 The South African National AIDS Council (SANAC) Board has given current CEO Fareed Abdullah two weeks’ notice that his contract would not be renewed at the end of this month, according to multiple activists in the HIV sector concerned about a lack of transparency involved in appointment of a new CEO. The Board still has not selected a replacement CEO although candidates were initially shortlisted before the post was re-advertised. It is alleged that Abdullah does not see eye-to-eye with top-ranking Health Department officials, although this has been denied by Deputy Director-General Dr Yogan PIllay. However, SANAC deputy chairperson Mmapaseka Steve Letsike – who is also on the SANAC Board – has also clashed with Abdullah and ignored his requests for her to sign the declaration of interests form required by SANAC board members. Letsike, who represents civil society at SANAC, is a powerful player within the council and also sits on the SANAC Board. Elections for 18 new civil society sector representatives are due to start next week amid claims that Letsike is ensuring that her supporters are elected. Abdullah confirmed that Letsike had not signed the declaration, but declined to comment on his reappointment. Organisations including the Treatment Action Campaign and Section27 are concerned that Letsike and SANAC’s higher education sector representative, Dr Ramneek Ahluwalia, are using their positions within SANAC to lobby for government contracts. Ahluwalia is the current CEO of the Higher Education and Training HIV/AIDS Programme (HEAIDS), a government position, which precludes him from doing business with government. He also applied for the SANAC CEO post. Ahluwalia failed to respond to any questions sent to him by Health-e on Wednesday and said he could not speak to us when we reached him by phone on Thursday. However, Health-E has seen an e-mail Ahluwalia sent to SECTION27 Executive Director Mark Heywood, in which he denies that he is in business with Letsike. “I personally have no business with her or something of that kind. However, she has worked with my wife on their individual basis [sic],” Ahluwalia wrote in the e-mail in December. “When you don’t disclose this to anyone and lie about it, it makes one question your motives,” said Heywood, who described their lobbying for health department business as a “serious conflict of interest”. On February 25 last year, Ahluwalia and Letsike pitched a business proposition to the Director General of Health, Precious Matsoso, under the auspices of Media Cliq. The following day, the pair presented the same business proposal to the National Health Council. Some sources said their proposal is currently being piloted in KwaZulu-Natal, but Health-E was unable to get confirmation of this. Letsike also runs a non-governmental organisation, Access Chapter Two, which is believed to get financial support from SANAC donors. According to a source she has refused to provide the financial statements for Access Chapter Two despite requests from the SANAC Board. Letsike referred all questions to her lawyer, while Ahluwalia initially told Health-e News to call him back later as he was in a meeting but subsequently failed to respond to attempts to reach him. Letsike’s lawyer, Michael Bill, failed to meet the six-hour time extension he was given to respond. When he finally responded, he alleged that Health-e was being used to undermine Letsike and damage her re-election efforts (elections for the deputy chairperson are due in March). Bill urged Health-e to “see through your sources of information”. “A personal attack and/or the singling out of our client for acts or actions for an entire body of persons would cast undue attention on our client. This attention, which our client submits is undue, could jeopardise our clients chances of re-election,” Bill claimed. Bill added that Letsike was not the only SANAC board member who had failed to sign the declaration, and that no money had been transferred to Letsike although the SANAC Board had resolved to pay her office around R240 000. Bill conceded that Letsike had solicited business from government, saying there was “nothing that prevents her” from trying to get business “from any government agency”, but denied that she was in business with Ahluwalia. SANAC Civil Society Forum elections will be held in the second week of February and sources are concerned that Letsike is controlling the process to ensure that her allies will be elected as sector leaders. The Treatment Action Campaign (TAC) has requested that the Independent Electoral Commission (IEC) take control over these elections to ensure they are fair but Letsike and her allies have allegedly resisted this. Abdullah’s imminent departure has upset some HIV activists who are concerned it will damage the work SANAC is mandated to do: to hold the government to account for its HIV response, which boasts the largest antiretroviral programme in the world and is responsible for the health of the almost seven million HIV-infected South Africans. This week, TAC General Secretary Anele Yawa sent a letter to SANAC Board of Trustees Chairperson Dr Gwen Ramokgopa, asking for an urgent meeting. “We believe there is evidence that the trustees mismanaged [the CEO appointment] by dragging out the advertisement process, re-advertising the position a second time without an explanation as to why, keeping the [current] CEO and others on the short-list in the dark about the process, and then making a sudden decision to terminate his employment with almost immediate effect,” Yawa wrote.